The U.S. Secretary of State, Mr. Rex Tillerson, arrives in Abuja today for his first official visit to Nigeria. According to the News Agency of Nigeria (NAN), Press Advisory from the U.S. Embassy said Tillerson would hold talks with President Muhammadu Buhari on Tuesday. “Tillerson will become the highest ranking official in the Trump Administration to visit Nigeria. 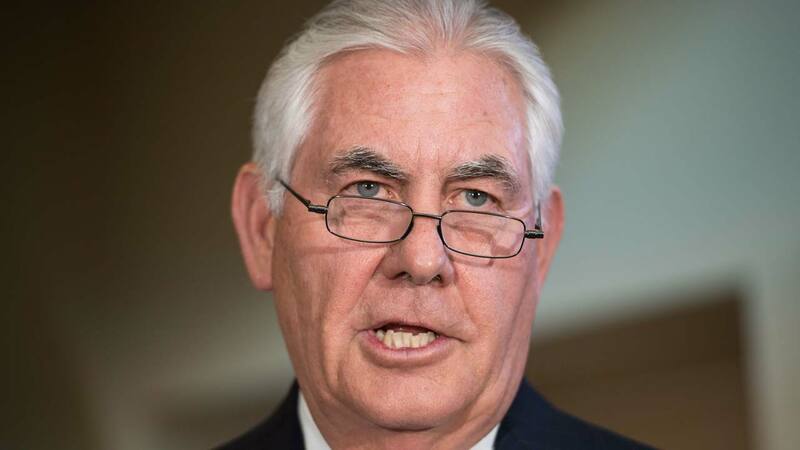 ”The secretary is expected to hold a press conference at the Presidential Villa on Tuesday by 11.45 a.m.
”Tillerson is expected to be joined in the press availability by Minister of Foreign Affairs Geoffrey Onyeama,” the embassy stated. Tillerson has been on a weeklong tour of Africa. He has visited the Horn of Africa just days after he announced a new $533 million aid package for Africa out of which $128 million was earmarked for Nigeria and countries of the Lake Chad region. WhenTillerson meets Buhari, both men are expected to discuss counter terrorism efforts and humanitarian issues in Nigeria’s Northeast and the Lake Chad basin. He is also expected to discuss how to advance peace and security, promote good governance, and spur mutually beneficial trade and investment with the president.